Mirena is an implantable intrauterine device (IUD). It contains the hormone levonorgestrel. Women use Mirena for long-term, reversible birth control and to treat heavy periods. Mirena may cause weight gain, ectopic pregnancies, infections, perforation and other serious complications. 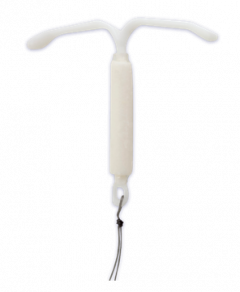 Mirena birth control is a T-shaped intrauterine device (IUD). Bayer manufactures Mirena. The IUD contains levonorgestrel, a type of hormone that prevents pregnancy. Mirena lasts for up to five years, according to 2017 Mirena prescribing information. The U.S. Food and Drug Administration approved Mirena birth control for the U.S. market in December 2000. In 2009, the FDA approved Mirena to treat heavy periods (menorrhagia). Women with heavy periods had 62 percent to 94 percent less blood loss after three months on Mirena. Bayer markets two other IUDs that are part of the Mirena birth control family: Kyleena and Skyla. Of the three IUDs, Mirena releases the largest amount of hormones. It also has a greater chance of stopping periods in the first year. Potential complications of Mirena include ectopic pregnancies and perforation of the uterine wall or cervix. Mirena may also cause severe infections, including pelvic inflammatory disease (PID) and sepsis. Women who say the IUD injured them filed thousands of Mirena lawsuits. As of July 16, 2018, nearly 600 Mirena lawsuits remain pending in federal court, according to the U.S. Judicial Panel on Multidistrict Litigation. Mirena birth control works by releasing levonorgestrel. This hormone thins the lining of the uterus. It also thickens the mucus in the cervix. As a result, sperm has a hard time moving and surviving in the uterus. This prevents pregnancy. The thinning of the uterine lining can also reduce or stop menstrual bleeding. What is Mirena and how does it work? 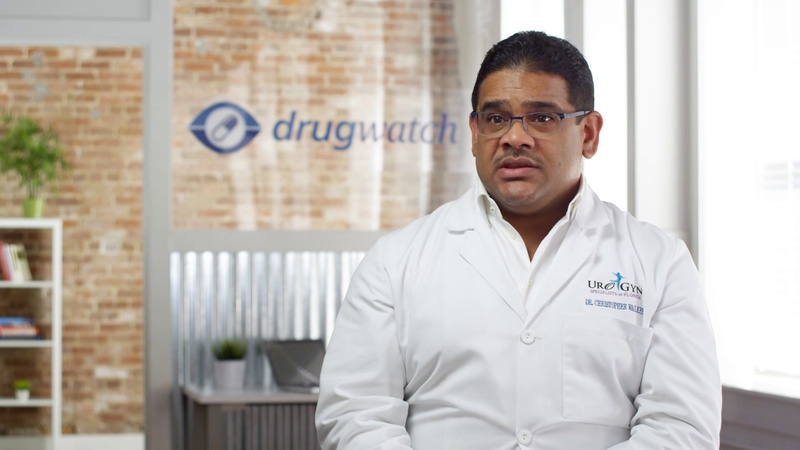 Urogynecologist Dr. Christopher Walker explains what Mirena is and how it works. Mirena is more than 99 percent effective at preventing pregnancy, according to Bayer. The FDA approved using it for up to five years. 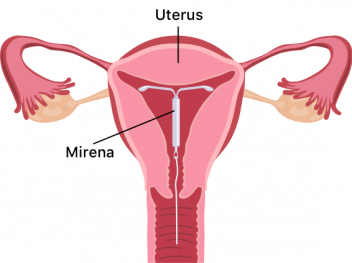 Doctors place the Mirena IUD in the uterus. Women can have Mirena birth control inserted during a regular doctor’s visit. Mirena insertion takes about five minutes. Doctors use a few tools to help insert the device but the insertion is not considered surgery. Women should wait at least seven days after the start of their period to insert Mirena. Women who have just given birth, had a miscarriage or an abortion should wait at least six weeks. A doctor or other trained health provider can remove Mirena at any time. Eight out of 10 women who have had their Mirena IUD removed can get pregnant within a year, according to Bayer’s Mirena Handbook. Health care providers must remove Mirena if it moves out of place. If a patient is not pregnant, she can get a new IUD inserted. Not all women experience Mirena side effects in the same way. Some women may have pain during insertion and for several days after. Others experience only minor discomfort or cramping. There’s also the potential for more serious complications such as perforation or Mirena migration. Some websites refer to Mirena removal side effects as the “Mirena Crash” But there have been no official studies done on the crash. After doctors remove Mirena, the sudden change in hormone levels can cause a number of symptoms. These include mood swings, breast tenderness, nausea, sadness or depression and flu-like symptoms. Women who are pregnant or suspect they may be pregnant, should not use Mirena. In some cases, there may be other birth control options available. Patients should discuss all medications with their doctor before using Mirena. Drugs and herbal supplements can make Mirena less effective. Examples of these substances include some blood thinners, anti-anxiety drugs and anti-seizure medications. Anti-retroviral drugs, antibiotics and St. John’s Wort may also interact with Mirena. Some interaction can be dangerous to women’s health. Mirena can cost anywhere from $0 to $1,300. Under the Affordable Care Act (also known as Obamacare), plans in the Health Insurance Marketplace must cover some type of contraception. If women work for a religious employer, such as a church, they may have to pay for Mirena out-of-pocket. Programs such as Planned Parenthood may offer the IUD at a reduced cost. There are good things and bad things about Mirena and other hormonal IUDs, according to Birthcontrol.com. Women should weigh all the risks and benefits before using Mirena. Mirena is more than 99 percent effective. Women don’t have to worry about remembering to take a pill. It lasts up to five years, according to the FDA. Most insurance plans cover Mirena. It is long-term and reversible birth control. It uses a lower dose of hormones than some other birth control methods. It reduces or stops menstrual flow in women who don’t want a period or suffer from excessive bleeding. It may cause ovarian cysts. Pregnancy with Mirena can be life-threatening. 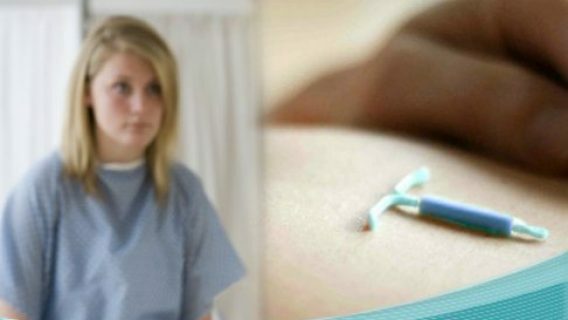 IUDs can become infected during insertion. Device insertion can cause perforation. It doesn’t protect against STDs. Devise expulsion can occur, leaving the woman at risk of pregnancy. Since the FDA approved Mirena, it has been the subject of several studies. Some findings were positive. Others were negative. For example, a 2017 study released in Obstetrics & Gynecology found invasive cervical cancer may be less frequent in women who use IUDs. In 2018, the University of California released information that suggests the Mirena IUD may work longer than five years. Out of 500 women who kept their Mirena implant for seven years, only two women got pregnant. A new Bayer clinical trial will test how effective and safe Mirena is after five years. The company should finish the study in 2021. But a 2015 study in Therapeutic Advances in Drug Safety found a higher number of intracranial hypertension reports than expected in the FDA’s FAERS database. Intracranial hypertension is a condition where the pressure increases in the skull. Symptoms may mimic a brain tumor. A 2016 study in Open Access Journal of Contraception found that most cases of IUD perforation happened during insertion. But, perforation could also occur if the IUD gradually eroded the uterine wall.